What is the Excursionist Perk? 1. According to the newest award redemption rules, there is no more "piecing together" segments you can find on *A partner carriers to create a one-way itinerary, is that right? If you put in the O/D and it doesn't show a possible connecting itinerary or the routing/carrier you wanted, there is no way to create it manually even if you can see the segments individually, is that correct? (for the same overall redemption cost you wanted) Not even phone agents will do this? 2. Does UA.com suffer from any "hidden" award availability that you still have to call in for? Or in return for restricting us with #1, is UA.com showing everything that you can possibly book now? Singapore shows, Turkish shows, and there is no glitchy inventory that requires calling in or being fooled into thinking you were searching everything possible? Correct. Though some people have had luck with 3 or 4 HUCAs or asking to speak to a supervisor, and possibly by reserving the overwater segment and then calling to add a domestic feeder, plenty of other people have reported calling several times and no dice. The overall policy seems to be what you see is what you get. Note that the search is limited to 200 results, so if you search for a one-way you'll get more combinations than if you search for a round-trip, and then you can modify your reservation within 24 hours to add the return if you want one (and get another 200 options for the return). I can see leg by leg online and trying to book via UA instead of NH. No stop overs at all. Agent says per her supervisor, it will be priced as 260k (120+30+110) per person in F using PEK as the farthest point and I can't count ITM as a open jaw. I was hoping to price this to 220k (110+110) per person in F. I'm okay if it was priced at 230k (120+110) and it makes sense to me if it was priced at 230k per the rules. Can someone validate this? Thx! As soon as you start searching leg-by-leg, instead of from the origin to the destination of a journey, you’re subject to leg-by-leg pricing under the October ‘16 rules. Under the old rules (which I agree the computer can sometimes spit out) I believe 240k because you can't transit PEK on a Japan award. Based on my research I should be able to book via United.com the following award ticket: MIA-LIS-OPO; CDG-MCO. Taking advantage of a stopover in LIS and an open jaw return from Paris. I'm looking to take it between mid April and mid May. My problem is that United.com doesn't show as an award ticket the flight with TAP Portugal (MIA-LIS-OPO), it only shows this one: MIA-EWR-OPO. Am I doing something wrong? based on my calcs the whole roundtrip should be around 60k UA/UR points. Are you doing searched segment/direction or as a return (open jaw) search? Look at the MIA-LIS flight alone and then LIS-OPO flight. Worse case you can either buy the cheap flight within Portugal if that is not available, take a bus, take a train or drive it. I like the train the best. You need to do multi-city with the 3 citypairs you want separately. First time booking a United award flight. Is it normal for the list of flights available for a multi-city booking to be different than what shows up if you search for each leg as a one-way? Every flight with economy saver availability I see for the return leg of my trip disappears when I try to add it to my multi-city itinerary. Sadly, yes it is. The multi-city search tool is greatly limited. If the flights you want are each available in Economy Saver when you do a one-way booking from origin to destination, you should be able to call UA and get them together on a single award. Note that this isn't necessarily true if you're trying to glue flights together to make a connection -- it's only true if each search represents a complete "trip" (i.e., the places where you intend to leave the airport for a reasonable length of time). So, here are the details... Is this the type of route I could call in and get to work? *It's the last one that doesn't show up on multi-city, but is available one-way. Finding a way back home with only 2-stops that is still 30k has been just about impossible. Downside of having a small home airport. If you can find the flights that you want doing one-way searches from LIT-ATH, ATH-MXP, and NAP-LIT, then yes, you should be able to call in and ticket it. Just say something like "I was trying to book this online, but I couldn't get it to work. 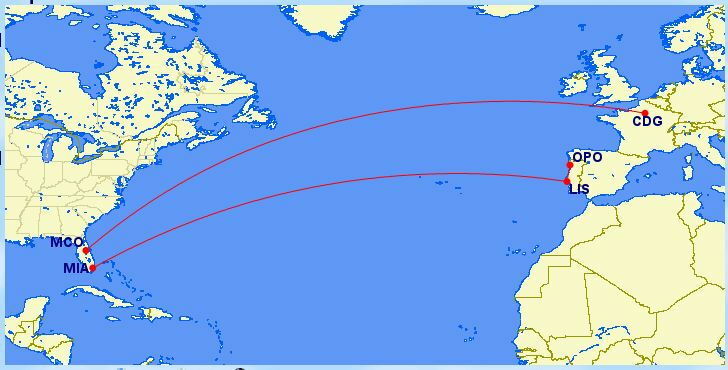 I'd like to do a multi-city award, starting on 5/27 from LIT to ATH; I see a flight via ORD and FRA -- do you see that one?" and continue from there. The key is to make sure that you don't mention the connecting cities up front; you want the agent to do those same three one-way searches, since that controls how the award gets priced. Taoyuan and Frugal Doctors like this. I'm trying to book a business award ticket from Asia to Sao Paulo to visit family for the holidays. My scenario is this: After spending hours and hours trying to find a decent option (North America to South America is slim in all of December), I noticed saver J availability on 2 segments. TPE-IAH and IAH-GRU. The trouble is that they show separately, but not as TPE-GRU. I've never had this problem with MilagePlus searches before, as it's the best search engine I've dealt with. So, I'm guessing that theres something about it that is illegal. The layover is 23:55, so maybe United has a different rule than most (under 24 hours)? I can find other TPE-GRU routings, but they are either mixed class awards or includes a 24 hour PEK-GRU direct Air China flight. Also, connecting in Houston seems to be a pretty efficient routing compared to the other examples. Should I call in and try to have a rep book it?